If your dog is chewing up your possessions in your absence -- rugs, furniture, what-have-you - there is a strong possibility that there may be periods of yelping, howling and whining occurring as well. You wouldn't know this, because, after all, you're away from your home and don’t hear it. The first step in changing the behavior is recognizing the behavior. The next step involves recognizing that you are highly likely the one responsible for the behavior. 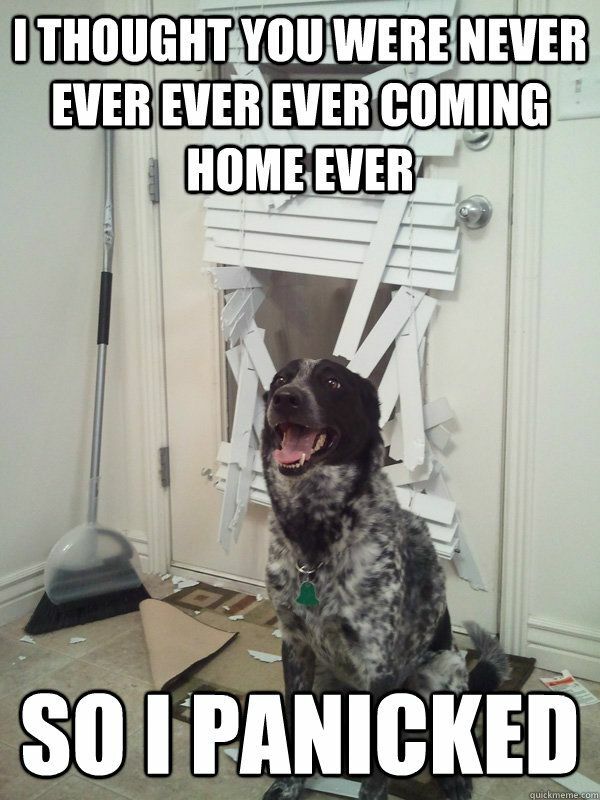 Is the dog experiencing separation anxiety? Is she continuing the behavior because she’s never been taught otherwise? Is she being scolded when you return home and discover the chewed items, which, in her mind, means that she can expect to be scolded whenever you return home (there is NO way she would know that she’s being scolded for bad behavior that occurred some time ago; canine minds do not function like primate minds!) Are you erroneously believing that you are exercising your dog sufficiently when, in fact, you do not fully understand the breed’s history, or your mixed breed’s genetic makeup, in order to understand just how much mental and physical stimulation your dog truly needs? Think about the steps you are taking to relieve your dog’s anxiety. Anxiety is painful for both the animal and the human. There is work to be done to ease your dog’s suffering, and if you’ve brought a dog into your home in the first place, you are the one responsible for doing that work!